I first met Brad Walker at last year's vault summit. He and I were both coming off of injuries, and so we talked about injuries and injury prevention. Intent to discover something about him beyond sports, I found that he also likes cars. So we talked about cars also. Though not unexpected, it's always interesting and a tiny bit surprising when you chat with someone, and the thought creeps into your mind "oh, we're similar, in a way." And then they jump a meter higher than you can jump. The latter is what happened this year, when Walker cleared 5.80m with what would likely have been a 6-meter jump. 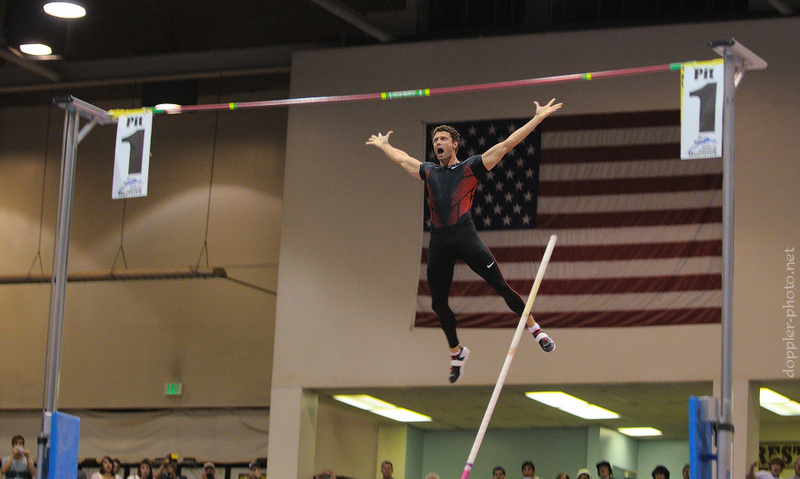 American Record-holder Brad Walker celebrates after clearing 5.80m (19' 1/4") by a large margin. I'm really happy with how this photo came out. I noticed the flag in the background and specifically framed it as a backdrop. I also managed to pan with him as he started falling, which is why he's the sharpest thing in the frame. 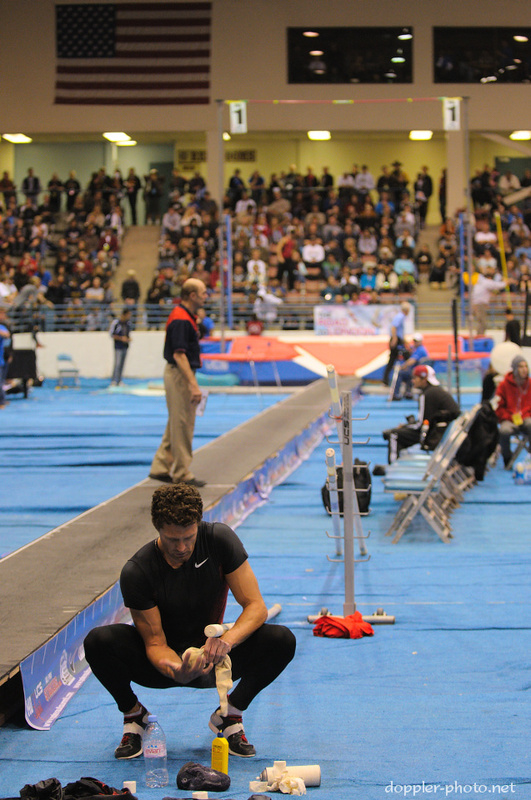 Walker prepares to take his first attempt at his opening height. He would run through on this attempt without leaving the ground. 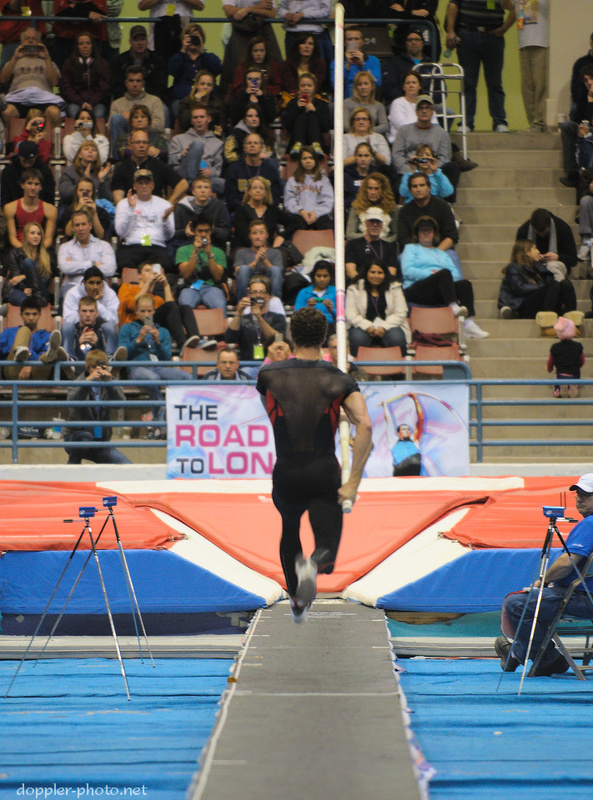 Walker strides down the runway on his second attempt at his opening height, which he would clear with room to spare. 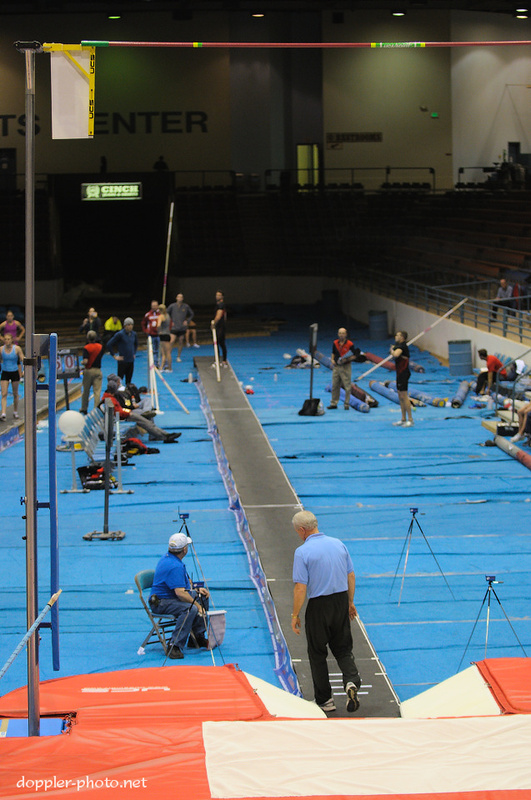 Walker prepares to take an attempt at 5.90m (19' 4 1/4"). He did not manage to clear the bar during any of his three attempts.